When people hear that my family lives without electricity, their first question is usually: Well, what do you do for light? 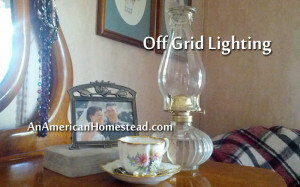 After a year and a half of living without light bulbs, lamps, and light switches, I have to say that going non-electric with lighting is one of the easiest “off grid” things you can do. Here’s what we do. Windows: Most of us don’t think about windows when it comes to light! But they are THE most important source of light when living off-grid. When I lived in an electric house, I “forgot” to open my curtains all the time. When I entered a room in the middle of the day, I reached for the light switch. It was a habit. I didn’t need to open the curtains unless I wanted to see out. And when we lived in the city, the view wasn’t worth the trouble. Now I open the curtains first thing in the morning and I don’t think about light until the sun starts to go down. It’s pretty simple. Kerosene Lanterns: These provide our main source of light after the sun goes down. We LOVE our Deitz lanterns and have several hanging throughout the house. 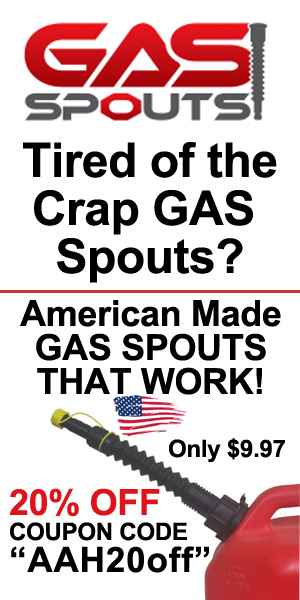 They provide a remarkable amount of light and burn very cleanly with almost no kerosene scent. We have one hanging on a decorative chain in the kitchen and others on shelf and rod brackets (made for closets) mounted to the wall. These make our lanterns easy to pick up and move when we need to and are out of reach of little hands. And we don’t have to worry about knocking them over. 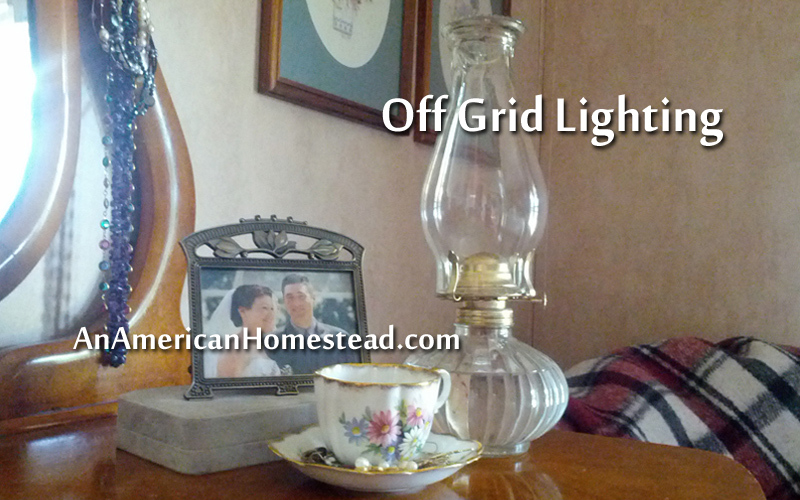 We also have a simple hurricane lamp purchased from Walmart. It uses the same wicks and kerosene as our lanterns. For only $7, this is definitely worth having in an emergency. It’s a cute little lamp and I like how it looks on my dresser next to one of my Grandma’s teacups. During the shortest days in January, I fill my lanterns about twice a week. During the summer I can go up to a month without refilling them. Candles: We use a variety of candles for extra light when we need it. My favorites are our homemade Homestead Palm Oil Candle. They burn so well. The oil melts completely to the edge every time they are lit. The flame is bright and there is no drippy wax mess to clean up. They also last a long time. In a pinch, I use the tea lights and taper candles from the dollar store. A tea light will burn from 2 to 3 hours without going out. So when I use these, I have to throw away the empty shell and put new ones out every night. It gets tiring to think about replacing lights throughout the house everyday. The tapers last a little longer, but have the same problem. My least favorite candles are the pillars. I believe that these are purely decorative or meant to be burned for the scent they provide. 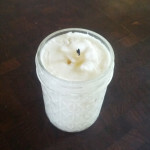 You can’t light them for an hour or less (some even more) on a consistent basis without burning a hole into the candle. A deep enough hole will completely block the light and you will never be able to get it hot enough from the flame to melt the wax at the edges. I have given up on this type of candle. They are not worth my time. Battery Powered Lantern: We have a Coleman LED lantern that we keep in the bathroom. It sits on the counter and it’s very convenient to be able to turn on and off. It is worth it for this space and really helps our son from having to find a flashlight. Flashlights/Headlamps: We use these when moving around the house after I have turned out the lanterns, or when the kids call me in the middle of the night. I also use them when I need to see in a dark cabinet on a cloudy day. Propane Lamp: We used a Coleman lantern for a while. It may be good for a short camping trip, but I would not recommend it for long term use. It is loud, which is something I don’t want from a light! The propane bottles are expensive and don’t last very long. During the shortest days of winter, one bottle would last one or two evenings. The bottles are also difficult to dispose of. A recycling center will not take them if they have not been punched with holes. I tried to do this with a hammer one day. I couldn’t break the surface. And I think they are ugly! I much prefer the beautiful flame of my kerosene lanterns. One more thought as it relates to light. I was surprised that when we moved off grid, it wasn’t just a matter of replacing electric light with lanterns and candles. My attitude toward the day and night has changed. The day is for work. The night is for sleep. This seems like a simple concept, but when I lived in an electric house, I simply turned on a switch when I needed light. I hardly noticed the sun going down at the end of the day. I did anything that I needed to do whenever time permitted, no matter the time of day or night. Now I make it a point to try to finish my work before the sun goes down. In the winter, this is definitely more difficult and usually dishes need to be done by lantern light. But I can’t sweep the floor and do laundry by lantern light! And when it gets dark, I get tired! My brain and body start shutting down, no matter what time it is. Lantern light is not stimulating for our brains like electric light is. I used to struggle with insomnia at times. Now that is mostly gone. I’m so thankful! I attribute it to allowing my body to work and rest according to the light in the sky. We get more done in the long days of the summer and we allow our bodies to rest more in the winter. And I think this is as it should be. Next A Clean House Makes Mama Happy! I love what you wrote about the day being for work and the night for sleep and how our bodies naturally shut down when it gets dark. We have found this to be true. We purchased some solar lanterns over 2 years ago on amazon that we have used every single day since then. We put them on the porch rail (or in the windowsill) each morning and bring them in just before dark each night. We use them for all of our lighting throughout the house. 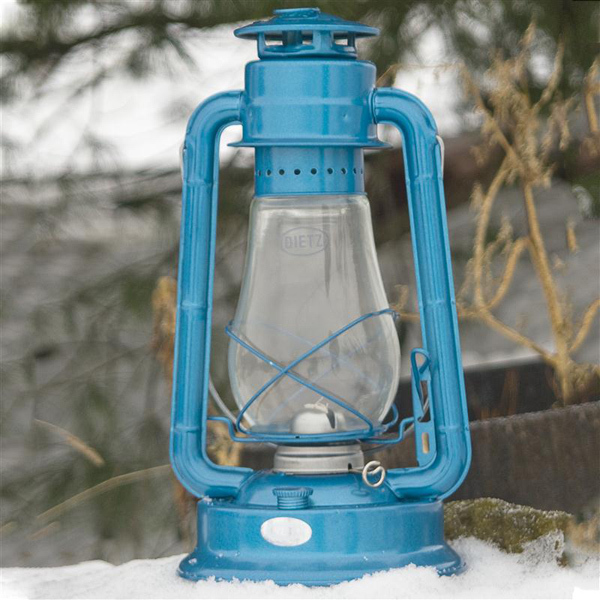 I love the look of kerosene lanterns, but we didn’t want to have to keep buying the kerosene. We weren’t sure how well the solar lanterns would hold up, but we have been happily surprised. That’s a good tip Elisabeth! Yes, I have heard of people doing that. What I didn’t mention in my article was that the lanterns also give off a little heat. It’s nice to have them around the house in addition to our wood fire in the winter. But solar light is an excellent option. 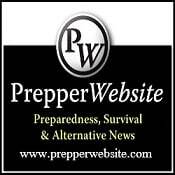 I have been thinking about the same thing and been trying to figure out how much kerosene I would need to purchase for lighting per month? Thanks for post the links to the solar lamps… do they give off enough light to read by? No, the small solar lamps do not give enough light to read, but a battery head lamp works great for reading. We have picked up some of the landscaping solar powered lights at yard sales, and often their batteries were worn down by the time we got them. These have had aa’s in them, and we use rechargeable aa’s also around the house. When I buy a new batch I put a small used label on the used about 18 month old batch, and these used rechargeables have been a step up in performance in these landscaping lights. This I believe is a way to wring a little more utility out of the rechargeables before they go into the waste stream. Wonderful! We have electricity, but now my girls are begging me for a trial of two weeks keeping it off…oh boy. I tried finding the palm oil in bulk. Could you please tell me the brand and resource for the palm oil you use? It’s exciting for the kids! And a great summer project. My older son has learned so much about the seasons from living off grid and not using regular lights. He understands so much about the length of days at different times of the year and how we get our work done in the daytime. A suggestion for when you do have pillar candles lying about that you could use. The “extra” wax with some sawdust/shavings/pellets in a cardboard/paper small container or even a mold to make fire starters. We use fire starters made this way from cheap candles we buy at yard sales and thrift store for almost nothing. We have been using these fire starters for 2 years now they burn between 3-5 minutes each. The ones we use are wood pellets wax and cardboard egg cartons. We get the egg cartons with the eggs we buy when our hens are not producing so it’s a waste product we reporpose. I’m not sure about the #. 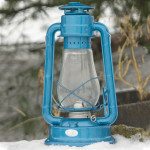 If you search for “blizzard lantern” on the Lehmans site, you should find it. Blessings! We were wondering what kind of kerosene you use. Not sure….just the kerosene they sell at the local hardware store. i use solar lights for nightlights . i have them in my flower garden during the day & i take them off their stake at dusk i put their stem in a vase or jar. they give off plenty of light. I thought of this one night camping when i wanted to keep a light on in our trailer but not heat up the trailer (i have 3 dogs 2 boxers & a shitzu) or have a flame unattended.We always used flashlights in bathroom too but the solar light stays on all night & never runs out of fuel. just take it out in the morning put back on stake i look at my flowers to enjoy them & sometime pick a little bouquet. Our trailer sits in the country on 20 acres of land with plenty of woods & a running creek.There is no electricity or well but we have enjoy camping with our two sons for over 35 years. I now do this at our home too. I enjoy your show on Roku. Thanks for making the videos I know time is the most precious gift we have. May GOD continue to bless you & your family. I was wondering if you or anyone else knows or has any thoughts/ideas on what the cost is to light your home with kerosene each month? 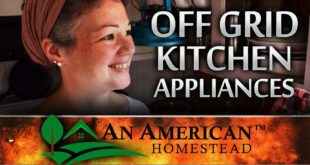 We are working towards our off-grid dream and so I am searching for any way I can cut down the use of electricity in our home as it is our largest utility. Thanks for posting so much great information and sharing your experiences. Last year our two families used 20 gallons for lighting so depending on your cost for kerosene you may spend about $7.00-8.00/month. Most of the kerosene used is during the shorter days of winter. We also use candles in addition to kerosene lamps. I hear on the news that electricity rates will soon be increased. Cost will rely be affected by how many lamps you run and for how long. We for years used kerosene and I don’t think it ever cost us more than $10.00 in a month and those high months would have been attributed to nights when our animals were giving birth and we remained up to help if they needed it. Then lamps would be on both in the barn and the house as we took shifts. A suggestion i would make is to put lanterns in front of mirrors as this amplifies the light available. I have a Kerosene hurricane lantern wall mount stand my grandfather made for me a long time ago ( he was a coal miner in Alabama up until he passed away in the early 80’s) it has a mirror inset into it and when lite it emits a lot of light enough to light a whole room whereas when i set the lamp on a table the light is not as bright or widespread. Try it you might be surprised. Also in a pinch when desperate olive oil will burn ( although is a expensive use for it) afterall in biblical times that was the oil used for lamps. Hello, could you do a short video on why you use palm oil for candles vs a wax any type?